Savory or sweet, these creamy takes on traditional Spanish custard are delicious for any time of day. 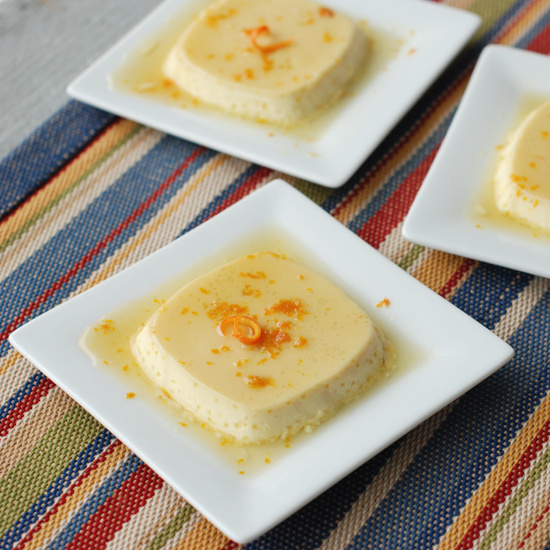 The simple addition of orange to this traditional Spanish dish from chef Andrew Zimmern takes this creamy dessert to new heights. 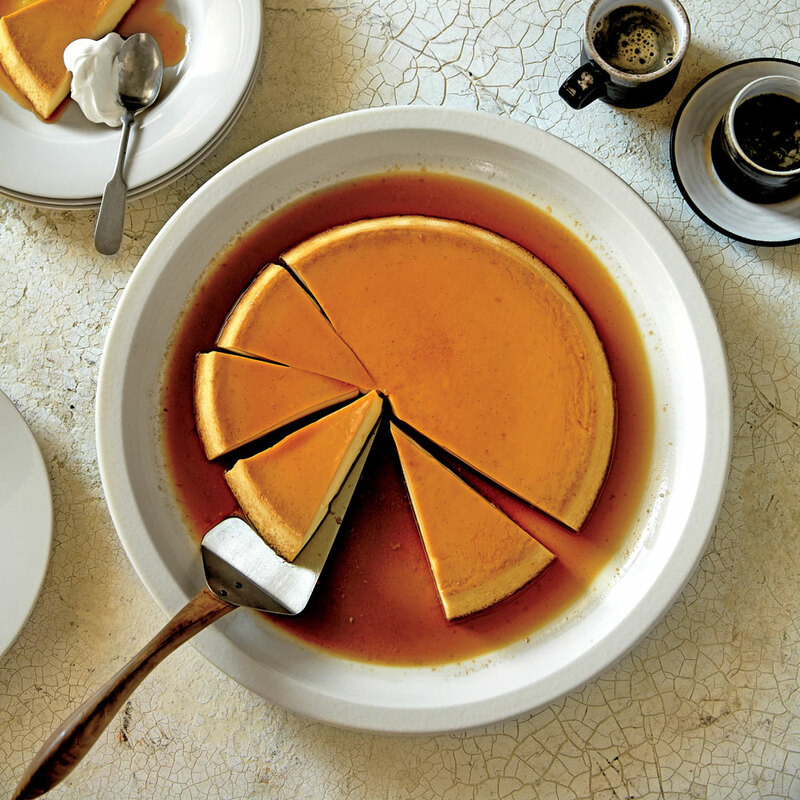 This thick, creamy flan--Jose Garces's mother's recipe--is a staple in his household. Garces likes to serve it alongside a refreshing salad of melon and citrus. These flans (and other egg-thickened custards that are made without flour) benefit from being cooked in a water bath, where they are surrounded by gentle, moist heat. Any small glass, metal or ceramic baking dish can be used to fashion the water bath, as long as it's at least 2 inches deep. For even cooking, it's best if the ramekins fit snugly in the water bath and if the water reaches at least halfway up their sides. 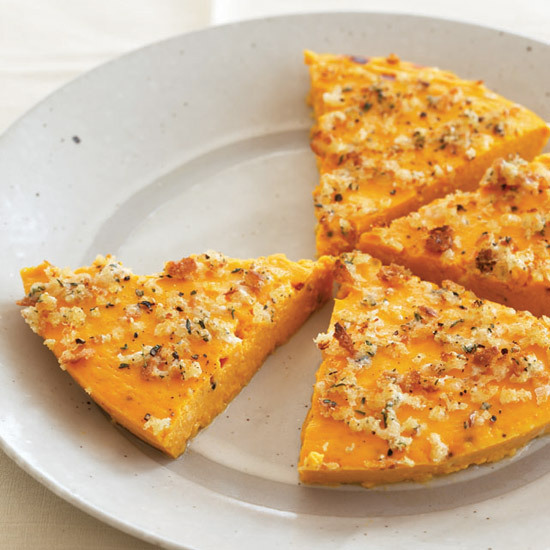 Carrots, the ultimate good-for-you vegetable, can also be decadent--as this silky, thyme-crusted flan proves. Canadian bacon is a lean, smoked meat that is more similar to ham than to bacon. It comes from the loin cut. Dan Philips, founder of the Grateful Palate, likes the intense flavor of Carlton Canadian bacon from Oregon. Coconut appears in many desserts in Martinique. 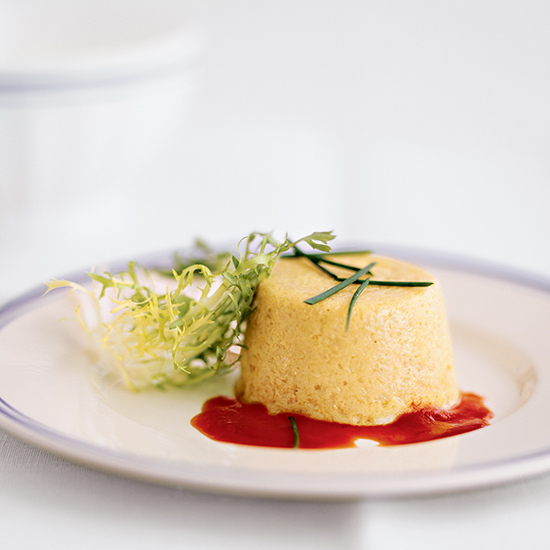 This flan is a variation on the French creme caramel and is cooked using the same classic technique--in a water bath at low temperature. The custard for Julian Serrano's flan needs to stand overnight so it can be infused with the flavors of the orange zest and the vanilla bean. Plan accordingly, and start the recipe one day in advance. 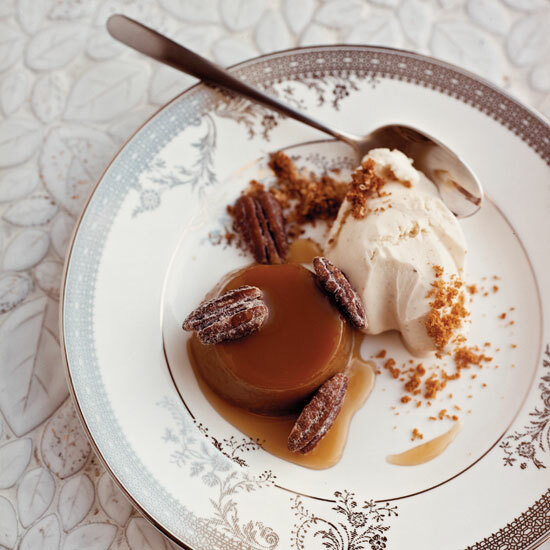 This milky, silky, delicate flan, topped with an almost-burnt caramel sauce, was created by Jeff Koehler, an American living in Barcelona, who co-wrote a Catalan cookbook. 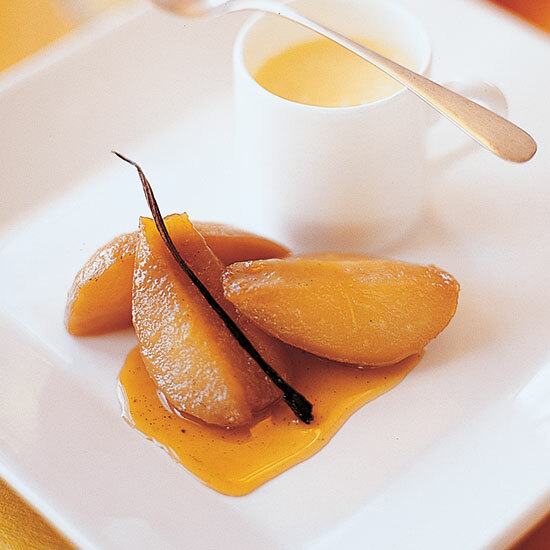 Koehler's unconventional touch--infusing the custard with a hint of cinnamon and lemon--is a nod to the influence of Moorish flavors on Spanish culture. 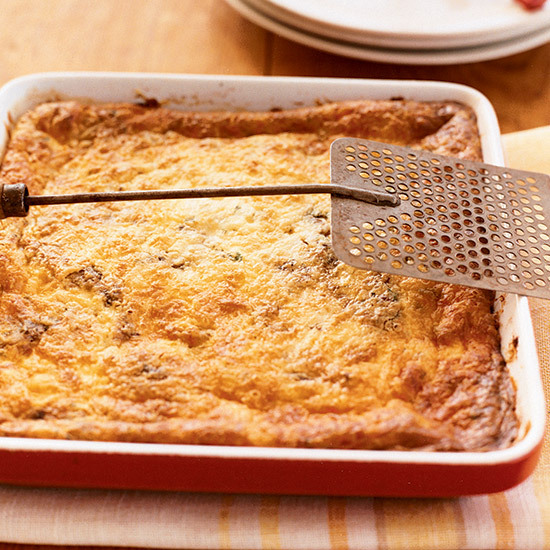 Tip: When adding the warm milk to the egg mixture, be sure to add it slowly, whisking constantly, so the eggs don't curdle. 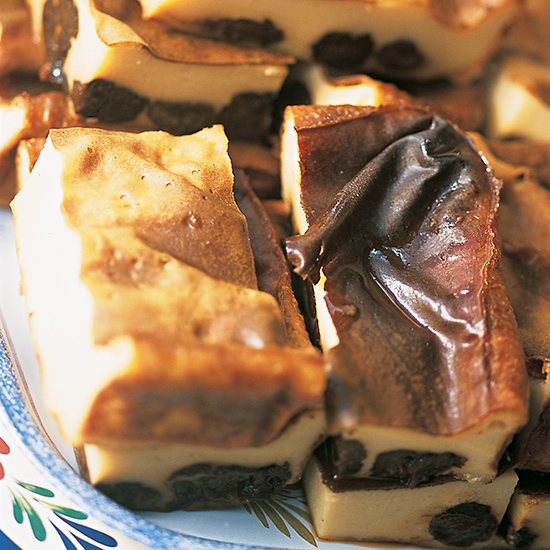 Far Breton is found at practically every pastry shop and farmers' market in Brittany, but this recipe, enriched with butter and Armagnac-soaked prunes, is the best you're ever likely to taste. 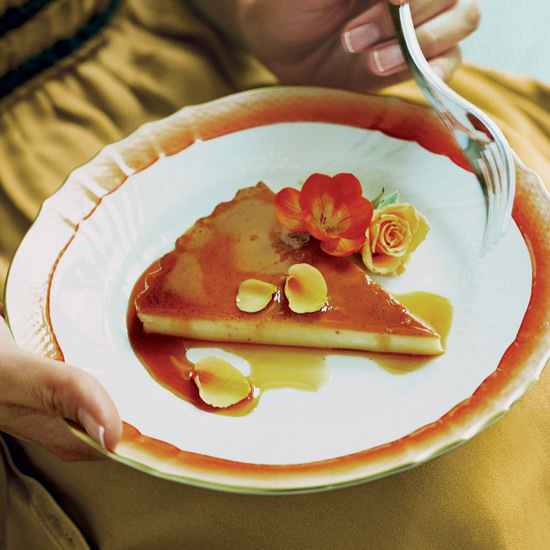 Photographer Romulo Yanes lets the requisite caramel sauce in this vanilla-flecked flan go a shade darker for a faint bitter edge that cuts through the dense, sweet custard. For a distinctly Cuban touch, he tops the flan with a rum-spiked whipped cream.